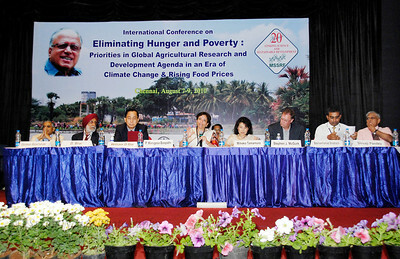 MSSRF: International Conference on "Eliminating Hunger and Poverty: Priorities in Global Agricultural Research and Development Agenda in an Era of Climate Change and Rising Food Prices"
Fields of South India. 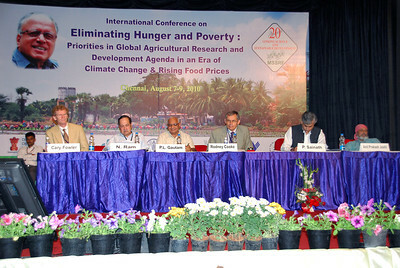 20"x30"
A three days International Conference on "Eliminating Hunger and Poverty: Priorities in Global Agricultural Research and Development Agenda in an Era of Climate Change and Rising Food Prices", August 7 - 9, 2010 was Inaugurated at the Chennai Trade Centre on August 7, 2010. 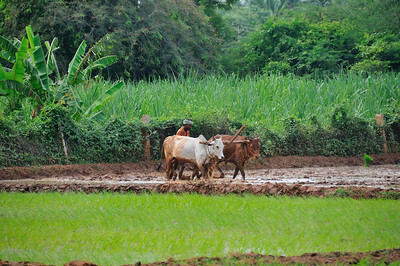 This Conference is to mark the 85th Birthday of Prof. M S Swaminathan. 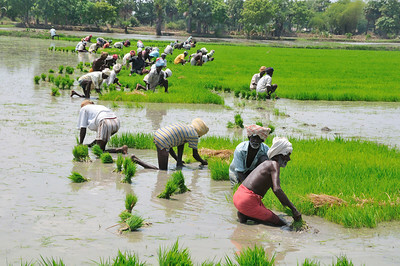 Hon’ble Chief Minister of Tamil Nadu Dr Kalaignar M Karunanidhi inaugurated and released the M S Swaminathan Research Foundation’s Annual Report for the year 2009-10. 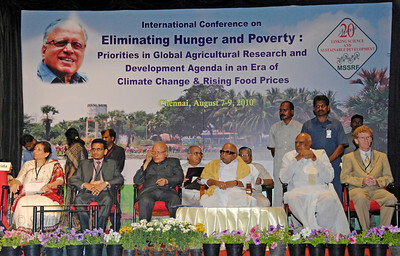 Hon’ble Chief Minister of Andhra Pradesh Sri K Rosaiah delivered the special Address. 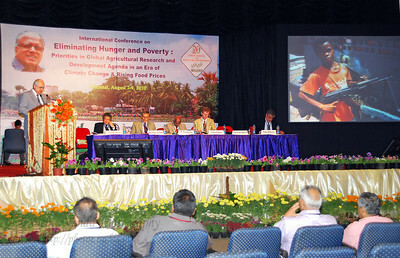 Mr. Ibrahim Didi, Minister of Fisheries and Agriculture, Maldives received the first copy of the Annual Report. 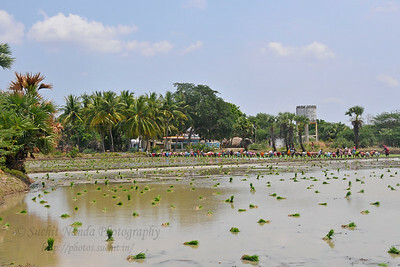 The backdrop used is a picture shot by me in rural Tamil Nadu.